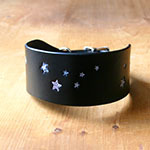 A new stars design created for our black greyhound Asta has galaxies of stars. 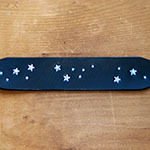 Stars are painted in a mother of pearl white that is almost silver then given a subtle shimmer of blue and purple. 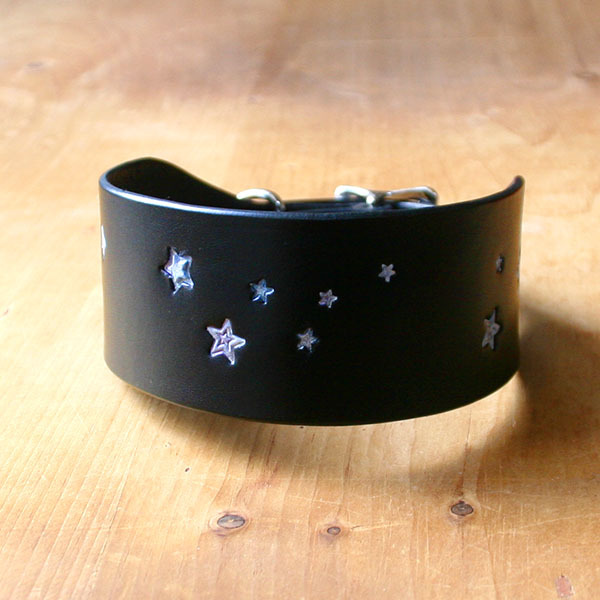 This collar can also have an optional sheepskin or suede lining.